First in Class. 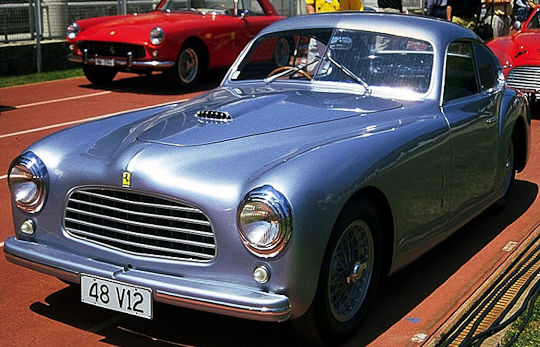 1947–1951, Automobili Stradale, Ferrari 50th Anniversary, Maranello, Italy, 1997. 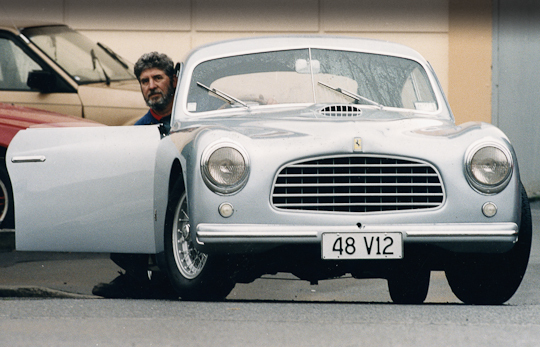 Third road car built by Ferrari, body by Stabilamenti Farina. Superlegerra chassis construction of elliptical-section steel tubes. 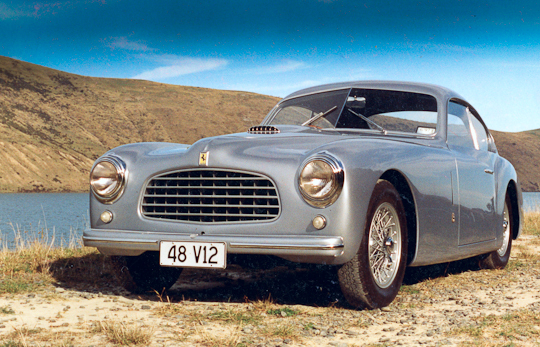 The 166 Inter model was the road-going version of the sports racing “Mille Miglia” model, and a total of thirty seven examples were produced between 1948 and 1950, in the odd chassis number sequence in the range 007–079. They were usually coupés, although Stablimenti Farina produced three cabriolets and Bertone a single example. Various coachbuilders’ bodywork was fitted to this series of chassis, all with their own interpretation of how they felt a Ferrari should be coutured. Apart from Stablimenti Farina, Bertone, and Carrozzeria Touring who had bodied the first 166 Sport coupé for the 1948 Turin Salon, there were examples of coachwork from the houses of Ghia and Vignale. 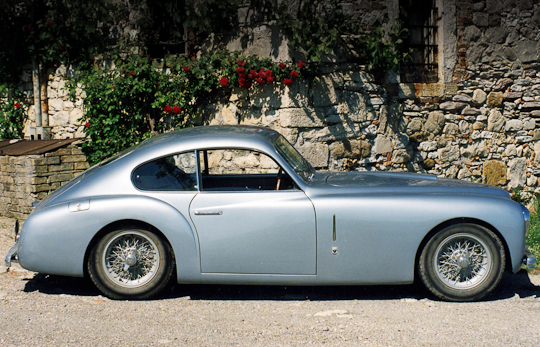 The Carrozzeria Touring examples were the most numerous, and bore a strong family resemblance to the style of their 166 MM barchetta, albeit on a longer wheelbase chassis, and with a smoothly curved three box coupé body. The examples from Stablimenti Farina and Ghia were very similar in overall shape, featuring fastback coupé bodies that appear slightly heavy and staid in comparison to the Touring interpretation, whilst the Stablimenti Farina cabriolets were virtually identical to the coupés from the waist down, and featured a folding canvas soft top, as did the Bertone bodied car. 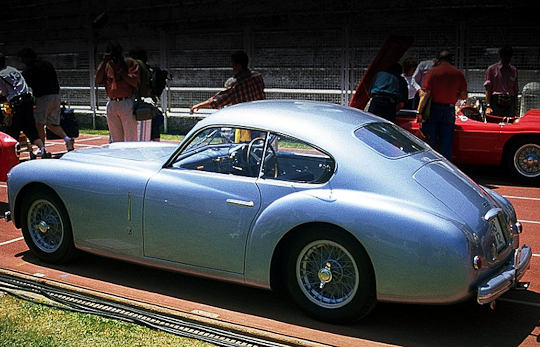 The Vignale offering was also a fastback coupé, but of a much lighter design than those from Farina and Ghia, providing a much more sporting image, which made them second in popularity, in terms of numbers produced, to the Touring version. It cannot be stressed enough that at this time, virtually every car was an individual, and that there would be sometimes numerous detail differences, perhaps in the radiator grille design or lighting layout, between one car and another from the same coachbuilder. Although the Inter series were built as road cars, numerous owners used them frequently in competition and they acquitted themselves well, despite the heavier bodies and full interior trim. The mechanical layout on a longer wheelbase chassis was virtually identical to the other 166 models, with a 2 litre V12 engine coupled to a five speed gearbox driving through a rigid rear axle. The engines on these models had a twin distributor and coil ignition system, and were normally fitted with a single twin choke carburettor as standard, although a triple set-up could be specified. 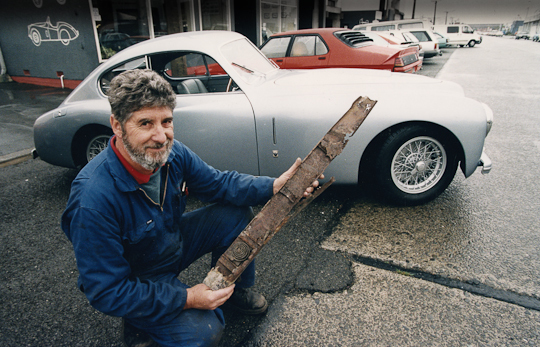 As the Inter series were road cars, front and rear bumpers were part of their apparel, the Touring bodied cars having vestigial appendages, whilst those on the Ghia, Farina, and Vignale bodied examples usually had much heavier adornments.